Owning and raising a dog in Texas is almost as special as the state itself. With so many interesting sights and sounds in the Lone Star State, dogs can feel compelled to want to see and smell them all. That’s why installing an underground fence from Dog Guard can be one of the best ways to keep your dog on your property. When you buy a pet fence from us, you invest in the safety and security of one of your most beloved family members. Training your pet to respect the boundaries of a wireless dog fence can be as easy and as placing an order with us on our website. 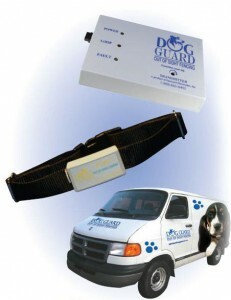 At Dog Guard, we pride ourselves on being the premier source for an electric dog fence. Texas dog owners turn to us when they want a reliable and safe way to contain their pets and make sure that they stay on their properties. Unlike the physical variety, our fences can be installed and maintained with virtually no work from you. Your part will simply be to train your dog as it gets used to its new pet fence. Rest assured that we’ll be there during all aspects of its training to ensure that your pet understands the new wireless system and its new environment. It’s extremely easy to get started with a hidden fence. TX dog owners need only place a call to our company and schedule an appointment to have our technicians arrive on-site soon. While there, we will evaluate your property and assess your dog’s personality. Afterward, we’ll suggest a system and perimeter that fits your particular needs and, with your approval, we’ll begin implementing the system. Our technicians use a non-invasive procedure to install underground fences to protect flower beds, gardens, and other nice lawn work. Training for your dog begins as soon as our technicians use flags to mark the boundaries of your new wireless pet fence. TX dogs respond well to visual cues that allow them to see that one area is clearly different from another. To help your dog adjust, we’ll enlist you to walk the dog on a leash around the boundary. If your pet happens to cross the boundary, a tone emanating from its collar and verbal corrections from you will warn the dog that it has accessed an off-limits area. When you call the dog back toward the safe area, you should praise it. After a few days of this process, your dog will likely have mastered tone training and will move on to the next phase: electric correction training with your out-of-sight fence. This part of the training requires that your dog’s receiver collar go “live.” During this phase, you’ll walk your dog on a leash like usual, but if your pet wanders into the off-limits area, it’ll now experience a mild electrical shock from its collar. A verbal correction will be needed to return to the safe area, but praising your pet after it comes back to the safe area is also very important. Both of these actions lessen confusion with your dog and keep it on track with training. When your dog has mastered correction training, it will be time to remove your pet’s leash and let it roam freely around the safe area within the electric fence. Texas Dog Guard technicians will then try to tempt your dog with distractions in the off-limits area. They may use toys, other pets, or even family members. If your dog refuses to cross the boundary, training will be considered a success! At Dog Guard, we’re committed to your satisfaction as a client and pet owner. All of our products have been approved by veterinarians. We personally guarantee that you’ll be happy with your purchase of one of our stellar wireless containment systems, or we’ll offer you your money back. We’re simply the best when it comes to installing and helping customers utilizable an electric fence. TX Dog Guard technicians will even help you train your dog so that it completely understands how your new fence works. Your pet’s safety is never left up to chance, and that’s why we also offer a lifetime warranty on our equipment. To get started with a free quote, call our courteous staff at 1-800-865-0495.